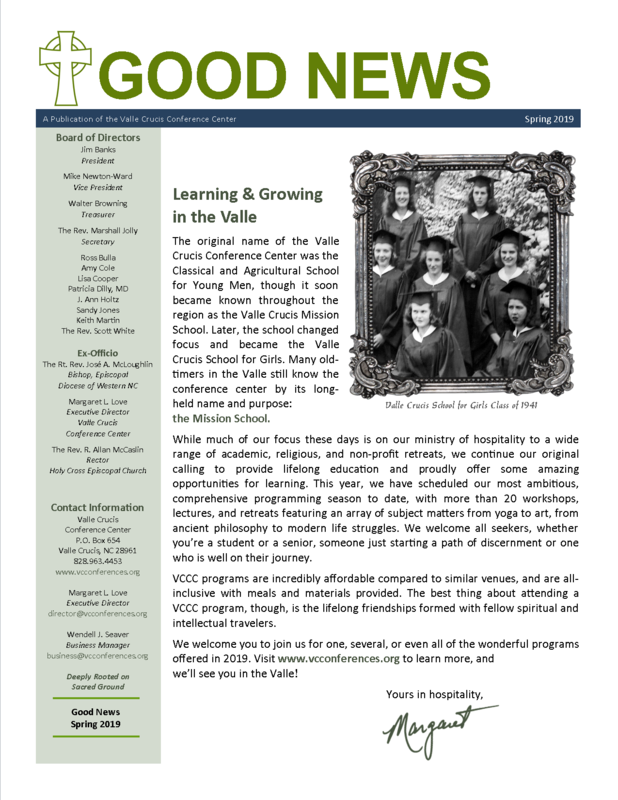 Click here for the latest Good News, our quarterly newsletter. The link will open in a new window. If you would like to contribute an article, photo, poem, reminiscence, or recipe for publication, please email Margaret Love at director@vcconferences.org.